As the days start to get longer and warmer and the first flowers of the season bloom, it’s clear that spring isn’t far away. Spring has always been a time to celebrate rebirth. Indeed, for many animals it is the time when new babies arrive—lambs, chicks and calves are generally born (or hatched) in spring, to take advantage of the fresh grass and generally abundant food in the springtime. Whether or not you’re experiencing grief, it’s hard to feel neutral about spring. For those who’ve experienced the death of a loved one, especially if the death is recent, spring can bring a confusing mix of optimism and sadness. Here are some of the common feelings grievers have about spring—and though they’re very different, you might experience all of the feelings at once or in quick succession. 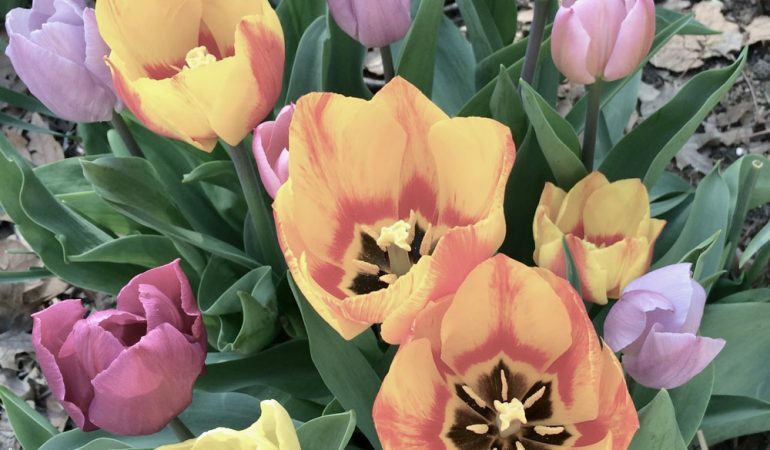 There’s something about spring’s beauty that makes most people smile—the tulips, the bird songs, the smell of plum blossoms or of cut grass is a reminder that the dreary days of winter are over. For many people, intense grief can feel like a personal winter. It’s a cold, dark time, when you don’t want to go out of the house and feel like you need protection from the world. So the coming of spring can feel like a sign that your personal winter of grief will have an end, just like the literal winter ends every year, even though there are moments when it might seem endless. On the other hand, spring can come as a reminder that the world is continuing without your loved one. Sometimes seeing everyone else basking in the first warm, sunny day of the year doesn’t feel inspiring. It just feels isolating, like the rest of the world gets to celebrate spring while your universe is still dark and gloomy. It’s ok, and even natural, to feel optimistic about spring one day or moment, and resentful and sad the next. Part of the natural grief process is the ability to hold all kinds of conflicting emotions in your heart at the same time. You might be delighted when the flowers your spouse or parent planted finally bloom, but sad that he or she will never get to appreciate them. The change of seasons has a special resonance for people who associate springtime with their deceased loved one’s death or decline. Seasonal triggers can be both strong and unexpected. You might not remember, for example, the smell of spring flowers after a hospital visit or that there had just been a spring rain when you found out your loved one had died, but these seasonal triggers can transport you back to moments that you’re trying not to dwell on. Sometimes you won’t even be aware of why a particular day is hard, until you realize the similarity with the day your loved one died or got some bad news. If you’re dreading spring, or just feeling more down recently than you expected, professional counseling might help you figure out what about the change of season is bothering you. Sometimes just understanding what’s causing you to feel unseasonably blue can help you feel better—or at least look forward to a time when you will feel better. Spring might always bring melancholy moments, but as you move through the grief process you’ll be able to enjoy the sunny days again.